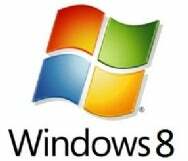 Various job listings posted online this November have hinted at when Microsoft plans to shift its focus to Windows 8. Most early adopters of Microsoft's latest offering, Windows 7, are still getting settled into the month-old OS, and discovering what the highly favored current version of Windows can do. However, it seems the guys up in Redmond aren't just hanging around, as this past month alone Microsoft has posted seven job openings in the hopes of finding folks to work on Windows 8. Technology site Ars Technica discovered the job listings over on Microsoft's official careers page. Some of the listings have since been edited or removed, but Ars Technica still has the original listings available in full on their site. So what tidbits of Windows 8 knowledge can we glean from the vacancies listed? We already know from a recent product roadmap that Microsoft's next OS is expected to hit retail some time in 2012, and according to rumors it could pack in 128-bit support (though some have cast doubt on that possibility). which include an assortment of positions such as testers, project management personnel, and launch leads, hint that Microsoft is planning to shift its internal focus to Windows 8 as they "head into Fy11". The fiscal year for 2011 begins in July of 2010, which gives Microsoft two years to perfect Windows 8 before it's expected 2012 debut. What would you like to see in Windows 8? Let us know in the comments! This story was updated on Dec. 3 to clarify what was mentioned in the Windows product roadmap .